ConTextos is an educational NGO established in the US and El Salvador. Our mission is to transform the educational experience so that students go beyond traditional, rote education to develop authentic literacy skills that include critical-analytical thinking, interpretation and creativity. ConTextos started in 2010 as a student project at Harvard Graduate School of Education and was incorporated in the USA in October 2010 and in El Salvador in November 2011. In 2011, ConTextos implemented an innovative teacher-training program in three public schools serving 23 teachers and benefitting over 700 students with a staff of two part time employees. 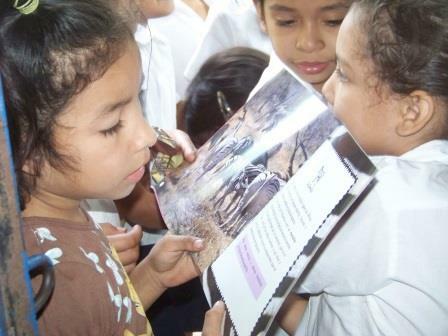 In 2012, we continued working with the same three schools and created the first public children’s library in El Salvador. In 2013, we implement our intensive teacher training program in 15 schools, established 32 libraries, and implemented and iterated our innovate afterschool writers workshop, EscriVamos, in six schools and afterschool programs. Currently, we train over 150 teachers who have been recognized as leaders in their field and in turn train hundreds of additional teachers throughout the region. Through our libraries and training programs, we directly serve over 9,000 at-risk youth in El Salvador, one of the world’s most violent nations. In one year, ConTextos’ program EscriVamos has served over 400 additional youth. We anticipate the number served by our programming to grow to nearly 15,000 additional students in 2014. Our intensive teacher-training program provides a unique coaching-based mentor system that supports teachers in the classroom to sustainably change their teaching practice. Literacy skills—reading comprehension and written expression—are cross-curricular skills thus we work with the entire school, all teachers, all grades, all subjects. These schools also receive a ConTextos library. 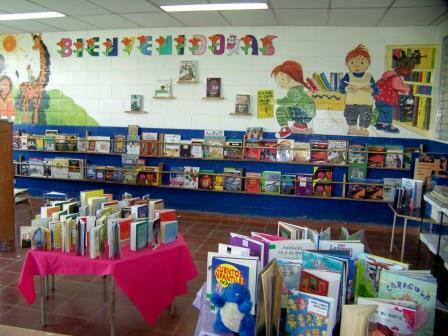 These are school libraries that consist of over 500 high-quality Spanish language books, a year of training for parents and teachers about book care and use, library set-up and lending systems, and techniques to integrate reading aloud and discussion in the classroom and at home. ConTextos’ unique training materials include a guided rubric that measures teacher practice and informs next steps and training modules that provide targeted support to help teachers integrate diverse texts into instruction, promote higher level thinking, classroom discussion and ultimately, individual and group work amongst students that promotes written and oral expression. Parents are incorporated throughout the training process in order to ensure program sustainability and support at home. In 2012, students who benefitted from ConTextos’ intervention showed marked improvement that surpassed World Bank standards for the region. Teacher practice showed steady improvement according to pedagogical best-practice through observations and self-evaluation. In 2013, ConTextos established 25 turnkey libraries in addition to the seven libraries through our intensive teacher training program. This prepares us to launch a scalable program in 2014—our current goal is 41 libraries in 2014. These turnkey libraries become part of the ConTextos’ networks and can apply for additional trainings, support, books, etcetera through the ConTextos’ networks. For more information on ConTextos visit our website http://www.contextos.org and view more videos at http://www.vimeo.com/contextos or on Facebook at contextosSV. Formación Docente - Teacher Training from ConTextos on Vimeo.